I'm just about to take off on a trip to Seattle and trying to decide which books to take with me to read on the airplane. Yes, I have my nook but you have to power all electronics down on take off and landing which I discovered was a royal pain in the but the last time we flew. 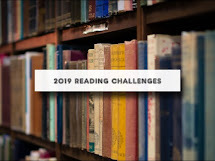 Also I'm up to the O's in my A to Z by Title and Author Challenge. So I let that be my guide. A year or so ago I picked up A Ship Possessed by Alton Gansky to read for the Christy Award Challenge. First time author read for me and he writes christian supernatural thrillers along the lines of Frank Peretti (so excited he finally has a new novel coming out in march 2012 and Ted Dekker. Synopsis of A Ship Possessed: The USS Triggerfish--an American World War II submarine--has come home over fifty years after she was presumed lost in the Atlantic. Now her dark gray hulk lies embedded in the sand of a San Diego beach, her conning tower barely above the breaking surf. The submarine is in the wrong ocean, her crew is missing . . . And her half-century absence is a mystery that's about to deepen. For the Triggerfish has returned, but she has not returned alone. Something is inside her -- something unexpected and terrible. To J. D. Stanton, retired Navy captain and historian, falls the task of solving the mystery surrounding a ship possessed. What he is about to encounter will challenge his training, his wits, and his faith. Complicating his mission is a ruthless madman bent on obtaining a secret artifact stolen from the highest levels of the Nazi regime. And poised in the middle is a young woman, a lieutenant who must contend with invisible forces she never knew existed. A Ship Possessed is a story of faith, courage, and determination in the face of unexpected and unknown evil. Chilling, goose bumps, heart racing, exciting can't put down books. Thoroughly enjoyed it and started looking for more of his books. Discovered Out of Time in the bargain books at Bereans the other day so just had to get it. Synopsis of Out of Time: J.D. Stanton has set sail with two Navy men and a crew of five troubled teenagers. Two days out they encounter a strange storm that damages their craft and leaves them on an eerie sea with no way to take a bearing. Suddenly a dark object emerges through the mist--HMS Archer--a long lost WWI British military ship. Stanton and his shipmates board the ship but find no trace of the crew, only their belongings. 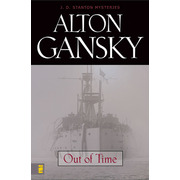 Soon Stanton realizes they are on a ship that is "out of time"--and they are out of time, too, because one of the teenagers needs immediate medical treatment. Stanton and the others begin to catch ghostly glimpses of the original crew. Stanton learns that one of the "ghosts" had planned to murder the crew of the Archer. Now one of the teens is bonding with that murderer. Will he attempt to murder Stanton's crew, too? So, I'll be reading Out of Time on the plane. I also have Finder's Fee in my TBR Pile and looking forward to reading more of his other novels. Alton Gansky has written over 40 books specializing in suspense and supernatural suspense. He's also written a few nonfiction novels dealing with biblical mysteries. I just recently requested a review copy of a book co-authored by Gansky, called "The Scroll." The summary sounds great.